The jobs will be based all over the country. 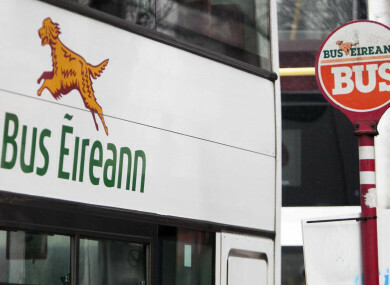 BUS ÉIREANN HAS announced a campaign to hire nearly 200 new staff. The jobs will include 190 driver positions and a number of mechanic jobs. The roles will form part of the network’s expansion and will be based in Dublin, Cork, Galway, Mayo, Waterford, Wicklow, Navan, Drogheda, Limerick and west Clare. A national recruitment campaign, which includes radio, digital and print ads, kicks off today. The new drivers are needed to staff an expansion and enhancement of services on a number of Bus Éireann routes nationwide and some additional enhancement of services on Expressway routes. These service enhancements are planned for regional city networks, town services and several Expressway intercity routes and will come on stream in the next six months. The company’s CEO Ray Hernan says the recruitment represents a new “growth phase”. “After a challenging few years at the company, it is great to move into a new growth phase. The majority of this service expansion will be delivered on behalf of the NTA for Public Service Obligation routes – and when introduced, will greatly benefit our customers and should incentivise more people to make the switch to public transport. Email “Bus Éireann is looking for nearly 200 new drivers”. Feedback on “Bus Éireann is looking for nearly 200 new drivers”.